There are a lot of great events happening during the next ten days, but if you park your vehicle on the street in Uptown, you'll want to be sure it's not going to be towed, because parking restrictions are on the horizon. 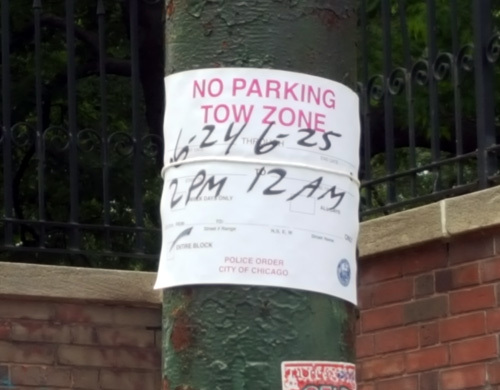 The concert restrictions on Irving Park and Clark begin TODAY at 2pm. 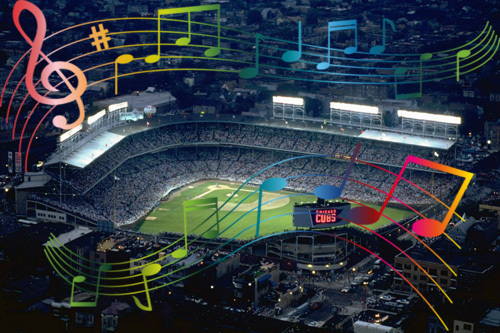 For a complete list of concert-related street closures, check Ald. Tunney's newsletter here. Unless you've been very, very preoccupied, you know that the Pride Parade will launch from Montrose and Broadway at noon on Sunday. The staging area for the parade is in that vicinity. 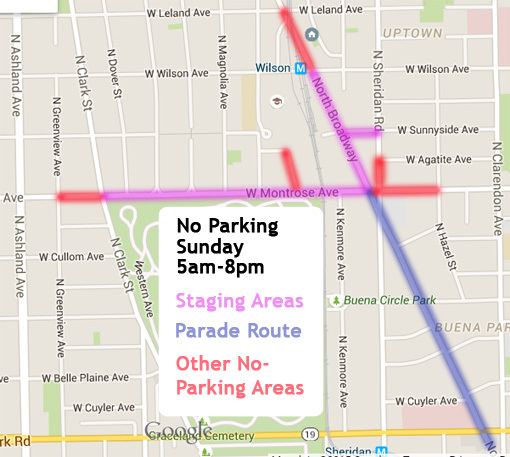 The same parking restrictions from last year are in effect, so we're posting the same map. Towing begins promptly at 5am on Sunday. It's going to be a fun weekend, with lots of visitors. Our advice is, if you aren't using your car between now and Sunday night, find a place to park it now that's outside of the tow zone, use Lyft or Uber or public transportation, and enjoy the festivities! Next Friday through Sunday, July 1st through 3rd, Windy City Ribfest will take place on the 4700 block of Broadway (between Leland and Lawrence). There will be parking restrictions in the area. We will post about those as soon as we are aware of the specifics.